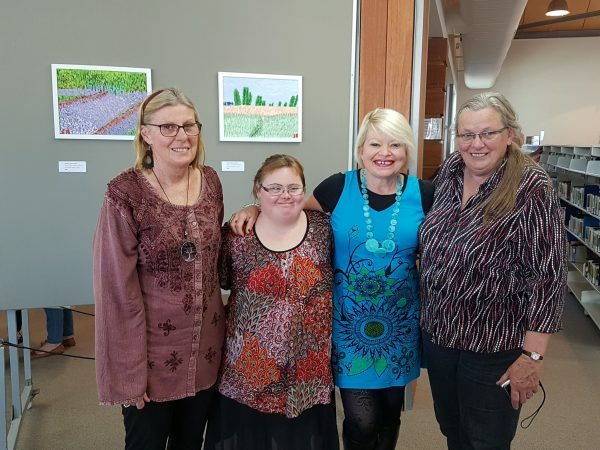 Sarah Bowkett (second from left) at her art exhibition last year. It has been spearheaded by Down Syndrome International, which has linked up with national charities across the world to develop activities and events to raise awareness and support for those living with Down syndrome. It also highlights the facts of what it’s like to have Down syndrome, and how those with Down syndrome have, and continue to play, a vital role in our communities. So celebrate by wearing your odd socks in recognition of World Down Syndrome Day – March 21!